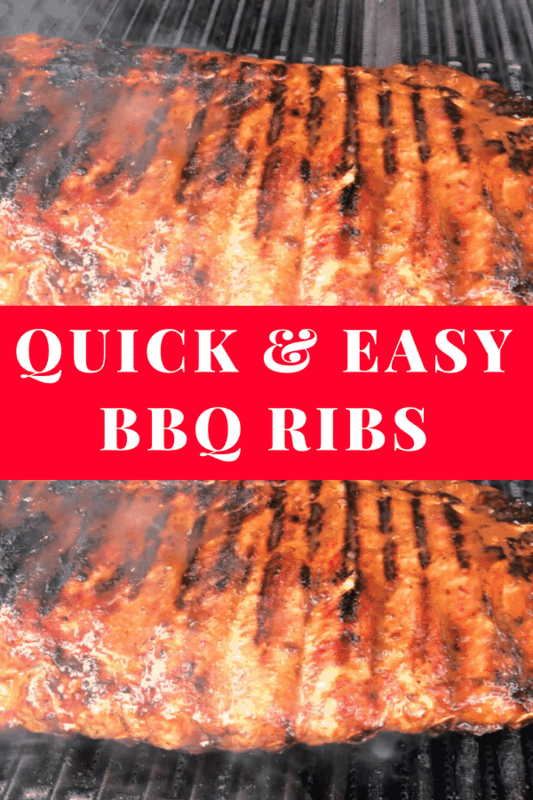 In this video, Bill and I show you how to make BBQ ribs on the grill OUR WAY. I know the “correct” way is to marinate them for several hours FIRST and then to slow cook them until the meat falls off the bone. Believe me, that’s literally how I want to eat them when I have a choice. To see these directions in action, simply watch the video. Coat each side with the dry rub (If you have time, you could marinate the meat in the dry rub for a few hours – but if you don’t, then don’t!). Sear the meat over medium-high heat on each side for 7 minutes. Coat with BBQ sauce and cook for another 7 minutes on each side or until cooked through. We can still eat the meat. It doesn’t have to be Epicurious perfect. It’s just dinner. We are going to eat again tomorrow!!! I think nowadays with the Internet, everyone is really so caught up on trying to land their own web show that we forget we are just trying to eat dinner. Enjoy, folks! Break some bread with your family and have a great night.